The focus of the Leigh Law Group is to protect the rights of people and businesses who have been injured by the unlawful acts of others. Our team of skilled attorneys deliver compassion and care to ensure quality of life for our clients while our clients are dealing with difficult issues. 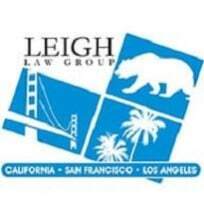 When the Leigh Law Group acts on your behalf, we demonstrate a strong commitment to your case and are relentless in our goals for seeking remedies and justice. Preparation is essential and our firm is prepared to take your case because of our experience, resources and knowledge of the law. Our attorneys have extensive experience handling complex cases and are well versed in administrative hearings, state and federal court litigation and taking cases on appeal. Attorneys for the firm practice beyond California representing plaintiffs nationally. Whether you are a small business, an employee, a student or parent of a child with disabilities our office can effectively represent you. When you meet with us for your initial consultation, you can expect that our attorneys will help to provide you options that work for your situation.